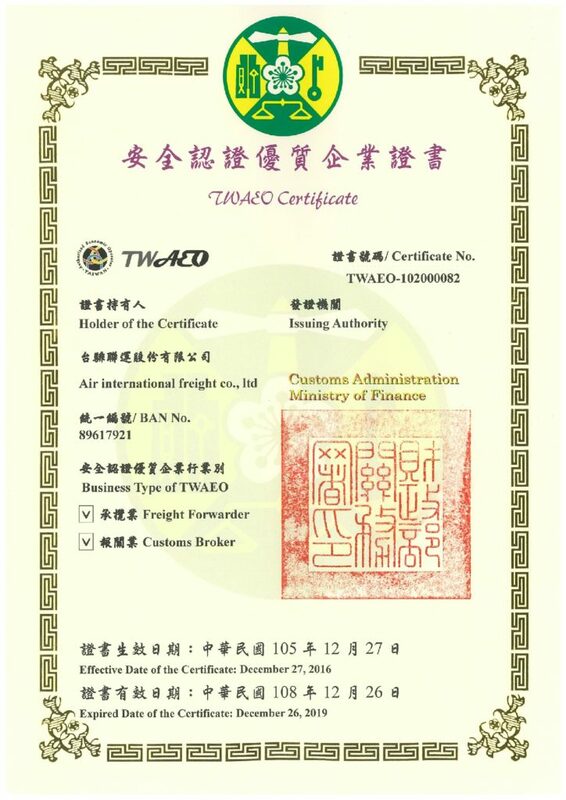 We are pleased to announce that the CQR member for Taipei, Air International Freight (AIF) CO. Ltd, has obtained the TWAEO certificate. AIF has been recognized by TWAEO for its quality as a forwarder & customs broker, with the certification set to last until December 2019. Thanks to its professional service and operation procedures, AIF has been able to meet the supply chain security standards set by AEO Validation. TWAEO provides this certificate to ensure global logistics security, trade facilitation, and end-to-end supply chain security. Members can be more confident in AIF than ever, and we invite all members with shipments to Taipei to get in touch with the team.